Those who wish to check out if their email IDs have been compromised can head over to hacked-emails.com and input their email IDs. Do note that at this stage very little is known if the user data contains plaintext email IDs or if user data is indeed hashed. We will update the story as we obtain more data. Also, haveibeenpwned, another such website which allows users to check if their IDs have been compromised is yet to report on this hack. 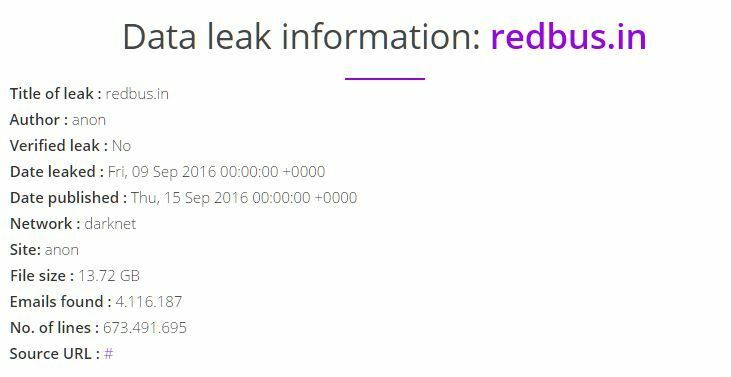 We noticed the hack on Reddit today and will be reporting more on the same as the news develops. 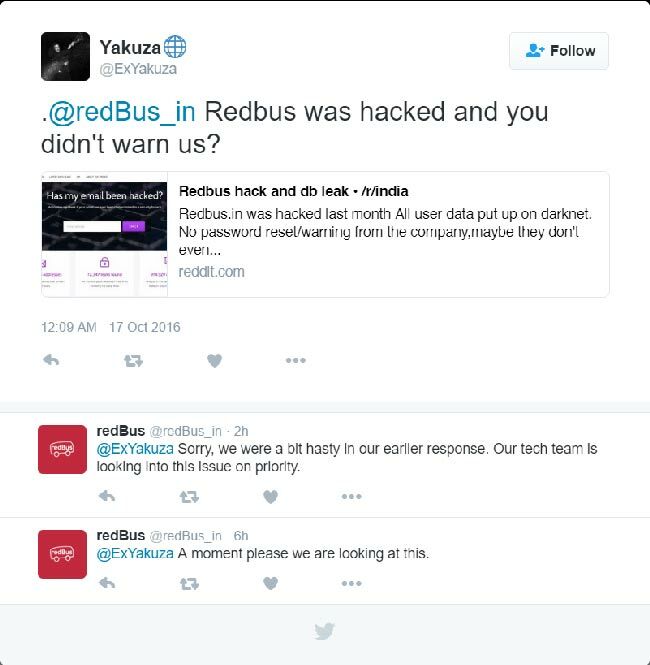 The Redbus.in data breach is the latest among multiple such hacks this year.